The facial bones are extremely susceptible to fracture from blunt trauma, usually occurring in car accidents, falls, sports injuries and assaults. The eye socket is one of the most fragile areas that can sustain fracture, due to the thin bones that surround the eye. 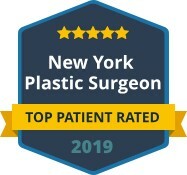 Whether it is a baseball hit to the eye or hitting your head while in an auto accident, these delicate bones can break and need expert repair by a talented plastic surgeon using the latest advancements in reconstructive surgery. Eye socket fractures can lead to problems with vision, which is why professional repair is often needed. If the bottom portion of the eyes socket, the orbit, is shattered, it can cause instability for the eye. Victims of eye socket fractures can have trouble moving their eyelids and have vision problems due this lack of support, even if the eye itself is not damaged. Orbital fracture repair, also referred to as blow out fracture repair, can be accomplished through surgery that patches the fractured orbit or eye socket. It is called a blow out as the floor of the eye socket or orbit often “blows out”. Often, the bone can be patched with a plate that is inserted to give the eye the support it needs, usually by an incision through the lower eyelid. Eye socket and orbital fracture repairs are complex and need extreme expertise. 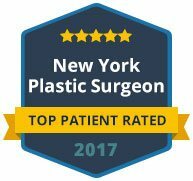 Dr. Khosh is a highly regarded facial plastic surgeon that is dual board certified and has won many awards for his work. 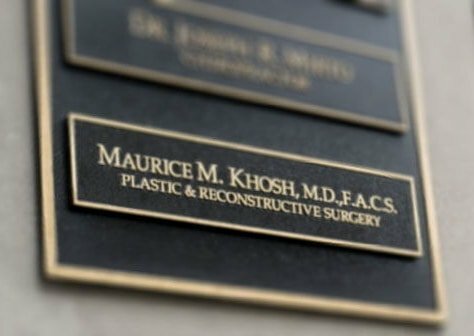 To schedule a private session with Dr. Khosh for a consultation regarding an eye socket fracture repair, contact our office today.